When longtime Community producers and directors Anthony and Joe Russo were tapped to direct the sequel to Captain America: The First Avenger, it was a bit of a head-scratcher for me. These guys have literally only done comedy to date: loads of sitcoms, mostly, the box office bomb Welcome to Collinwood, and You, Me, and Dupree. So while I’ve never been one to think that people who haven’t done action before aren’t “qualified” to do action movies, they did seem like an odd choice. I wouldn’t say I doubted they could do it, but it was an intriguing choice on Kevin Feige’s part. Working from a script by Christopher Markus and Stephen McFeely, the screenwriting duo behind the (yes, I’m gonna say it) actually-pretty-good Pain & Gain, the interminable slog of Thor: The Dark World, and the I’ve-never-seen-any-of-them Narnia films, and obviously using the Ed Brubaker run as inspiration, The Winter Soldier has the smartest and tightest script of any solo Marvel Studios movie to date (and arguably The Avengers), the most emotional weight of any Marvel Studios to date, and the best action of any Marvel Studios movie to date (including The Avengers). While there are one or two plot points that viewers either roll with or not (I’ll refrain from being specific here, but I’ll freely discuss them in the spoiler-approved comments below) — I went with them — and I loved that the storyline of the film actually changes the status quo of the MCU meaningfully. Actual consequences! Imagine that. The ever-charismatic Anthony Mackie is a fantastic addition to the Marvel Cinematic Universe as Falcon, as well. Bring on Captain America 3! Those of you who have seen it, what did you think? 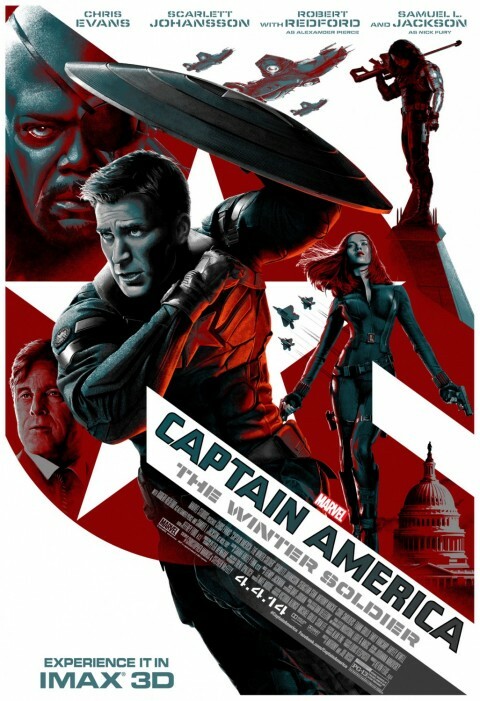 Obviously, spoilers are okay in the comments section here, so if you haven’t seen Captain America: The Winter Soldier yet, you have been warned! This looks… SO much better than the first one.